Politics, As Usual | Listen Free on Castbox. Despite wide-spread scepticism about politics and politicians, in every country around the world there are many representatives and officials driven by purpose and principle. Their stories are rarely heard, but talking to such individuals about how politics actually works in practice, and making change happen, is invariably interesting, insightful and enlightening. The purpose of this new podcast is to capture some of those stories from people working in and around politics, in some very different contexts, about what motivates them, why politics matters and what we might learn about the process of change. 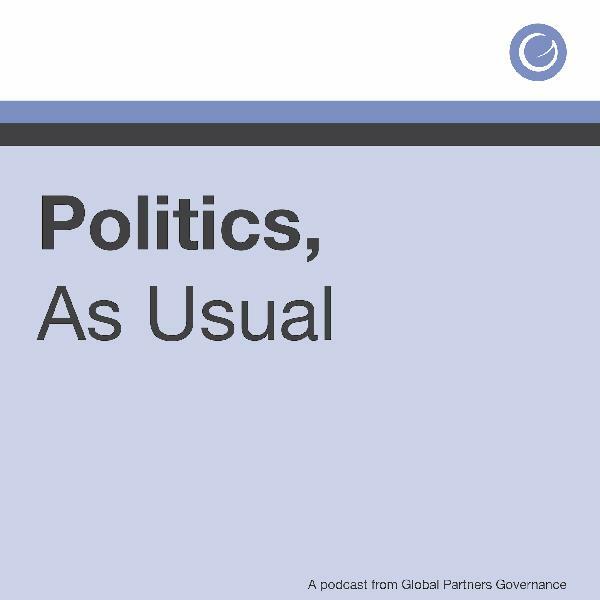 Politics, As Usual is a Global Partners Governance podcast. The book 'Politics, As Usual' by Greg Power, will be published later this year.